r.LiNK video inserter for rear-view camera and 2 video-sources. Compatible with Mercedes vehicles generation NTG5-205 oder NTG5.1 with Comand Online or Audio20. 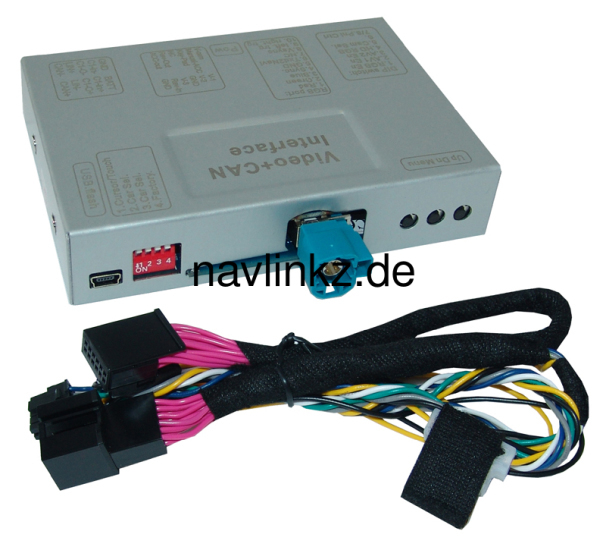 .LINK video insertion compatible with Mercedes Benz vehicles with Comand Online NTG5/5.1, Audio20 CD NTG5/5.1 and Audio20 USB NTG5/5.1. For connection of one rear-view camera and two additional video sources.